Tables can be presented of front and rear suspension forces, rates and ratios. 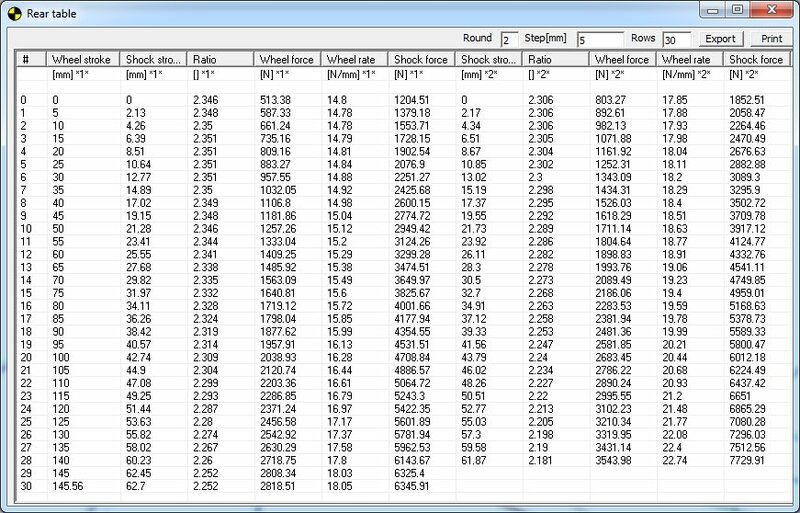 The accuracy and steps size between the rows can be modified. Tables can be exported for use in other software. In the table above the bike geometry setup can be compare and edited in a single view. The figures that are different are displayed in red. 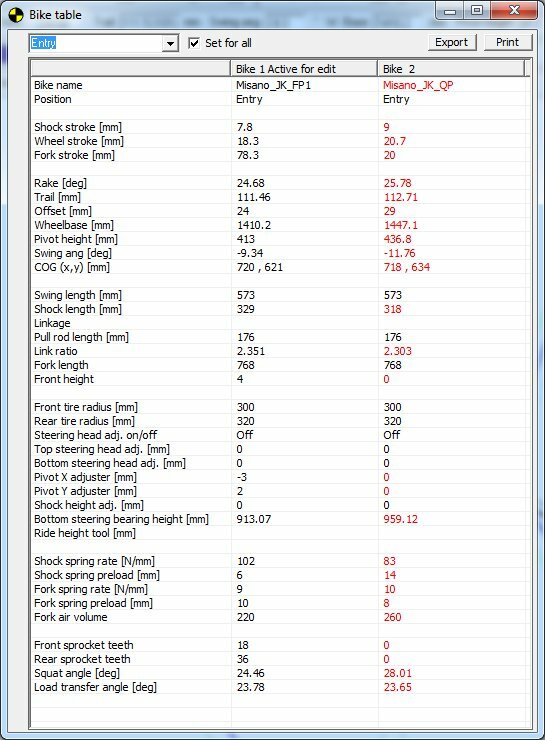 Graph of front and rear suspension forces. Lines can be switched on and graphs can be zoomed in. The mouse pointer always displays the values at current position. 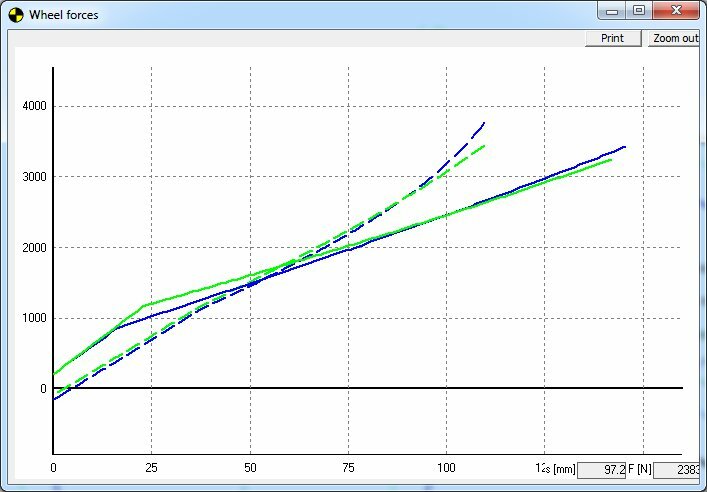 Graphs are available for Wheel force, wheel rate and linkage ratio.